The CMF team in Ethiopia is looking for two to four people who can commit to five months of service in Nekempte, Ethiopia, using English as a platform for outreach to university students. 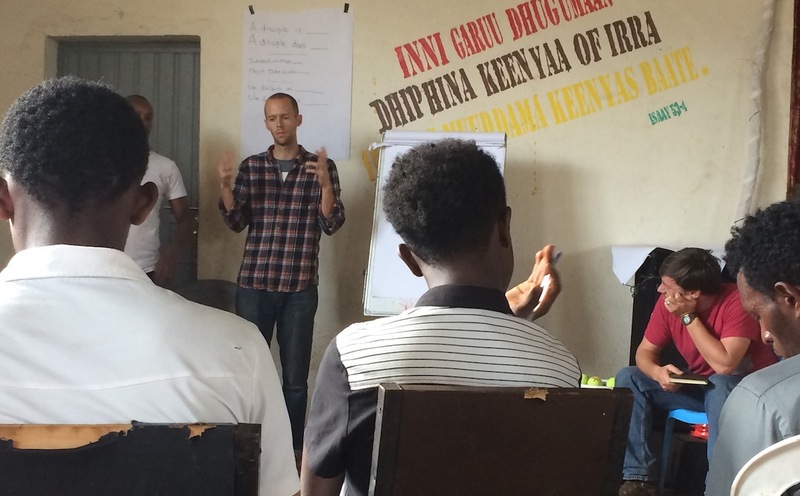 Learning English is a priority for Ethiopian college students, so the team hopes to provide helpful and engaging English classes and tutoring for individuals that will lead to evangelism and discipleship opportunities. During this five-month opportunity, you will minister alongside experienced CMF missionaries Tyler and Katie Selby. The Selbys are in the initial stages of starting a campus ministry at Wollega University, the largest government-sponsored university in the country. The five-month commitment would ideally begin in September 2018, and continue until February 2019. You would be arriving at a vital time to help ramp up this transformational ministry.